In a break from my usual black and white photographs, I couldn’t resist posting this image of some flowers in our garden. I don’t profess to be a gardener but these plants are quite stunning and have given my wife and I a great deal of pleasure this year. 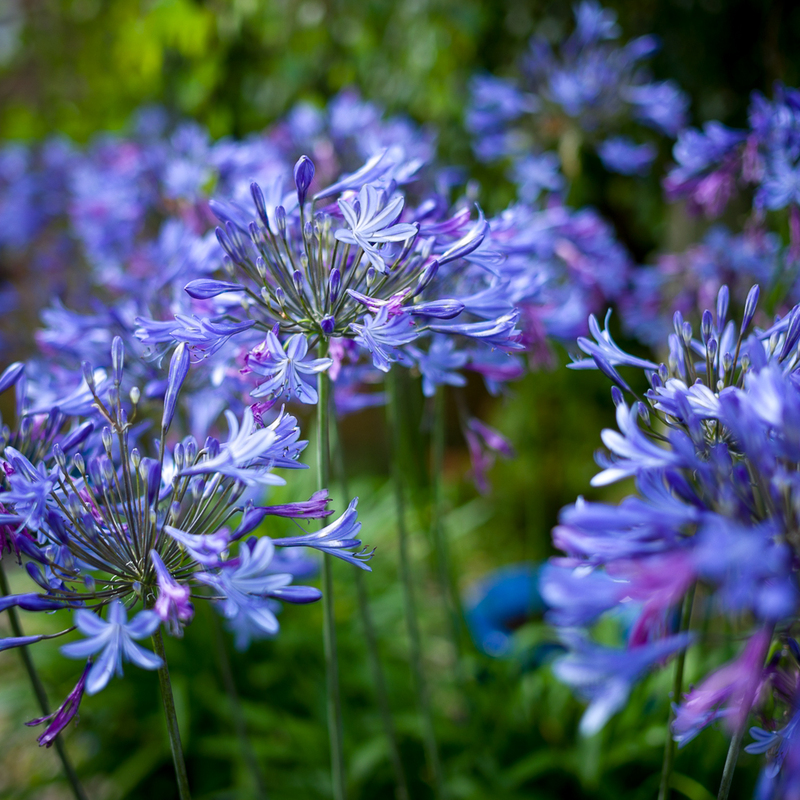 Agapanthus are an architectural plant originating from South Africa. These are growing in three pots on an area of decking immediately outside our living room. Without a great deal of care, they have produced forty stems, each about two to three feet long, topped with a ‘ball’ of intensely coloured flowers. They have such a long season of interest, from the moment the first stems start to appear, through to when their attractive seed heads form later in the year. Simply beautiful and without question one of my favourite plants. For those who are interested in the technical details, this photograph was taken with a Leica M9P and 35mm Summilux lens. It was shot at f2.0, 1/3000 sec at ISO 160. Cropped and with some processing in Lightroom, but the colours are just as the CCD sensor recorded them. My grandad has these in his garden and a white variety that sprang up from nowhere. They are stunning, always get loads of comments. Good for bees too! Thanks Haylee. We have some white ones too, but they have yet to establish themselves. Stunning as you say…..
Hi Andy. Don’t take my word for it, but they do seem to like being in pots.